From picture books to novels, Kendal Mountain Festival are bringing a new programme of Children’s Literature events to our town this November. A vivid, warm and atmospheric adventure set in the mountains of India, about a girl who is determined to protect the wild leopards of the mountain from poachers. A darkly hilarious adventure full of exotic beetles, daring schemes, and true friendship. In the deepest Himalaya a story is spreading like wildfire. The story of an Everest expedition unlike any other. An expedition that ended with mysterious disappearances … and death. This is the mystery that 18-year-old Ryan Hart sets out to solve. What emerges is a shocking tale of lies, betrayal and obsession… All played out on the lethal slopes of the highest mountain in the world. 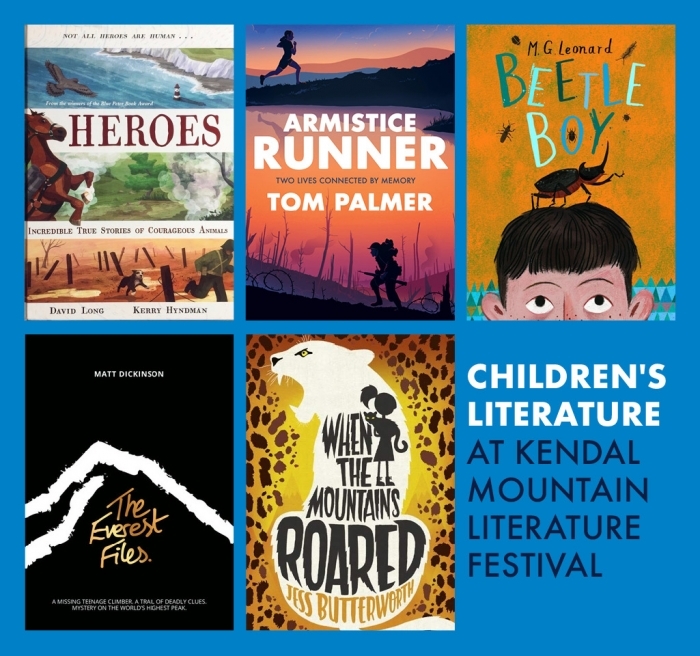 These fantastic Children’s Literature events are part of the 2018 Kendal Mountain Literature Festival, which takes place during the famous Kendal Mountain Festival between Friday 16th and Sunday 18th November.